Access to the Harry McWater Falls is easy. Take the 20-minute hike from the Lake Alma Trailhead and spend a few minutes taking in the soothing sounds and sights of this beautiful 12-foot waterfall. 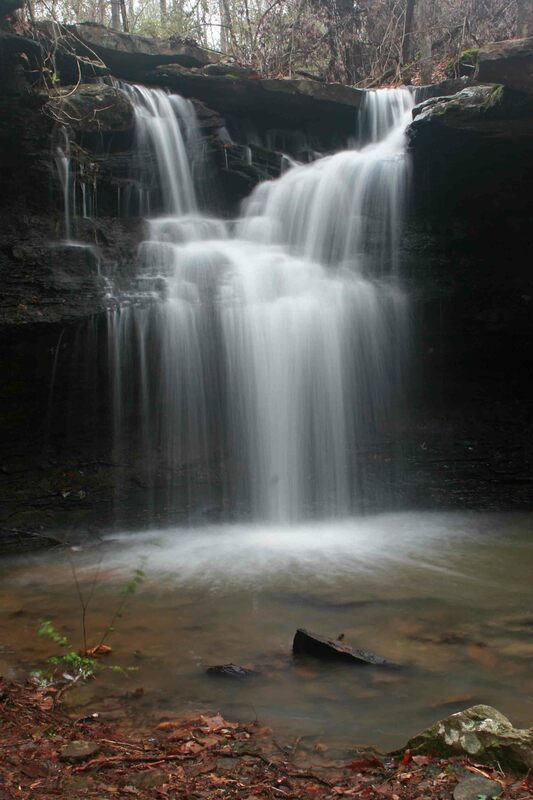 The falls were named for a man who maintained and shared his vision for a hiking trail around Lake Alma. That vision is now a reality which is benefiting many hikers throughout the region. 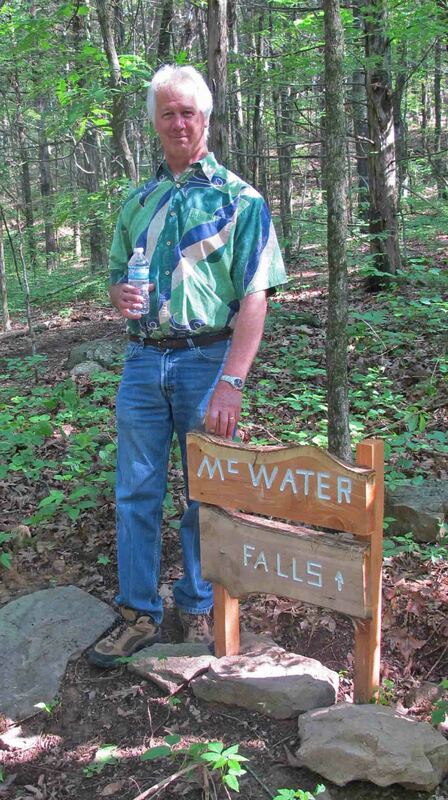 Harry McWater, the man with the vision for a trail around Lake Alma. For a 4-mile workout, continue around the lake returning to your starting point. Plan on a wet crossing at Little Frog Bayou if the water is flowing as shown in this picture. Take Alma Exit 13 off I-40, then drive north on Hwy 71 to the first light. Turn right onto Collum Lane East then left onto Mountain Grove Road. Go north past the Alma water tanks on the left then a quick left into a picnic area. The trail begins at the fishing dock. Walk the paved Nature Trail north with the lake to your left. The Lake Alma Trailhead is at the north end of the paved trail where it turns sharply back toward the picnic area. If you hike the whole 3.8-mile trail, you’ll come back to the fishing dock from across the dam. 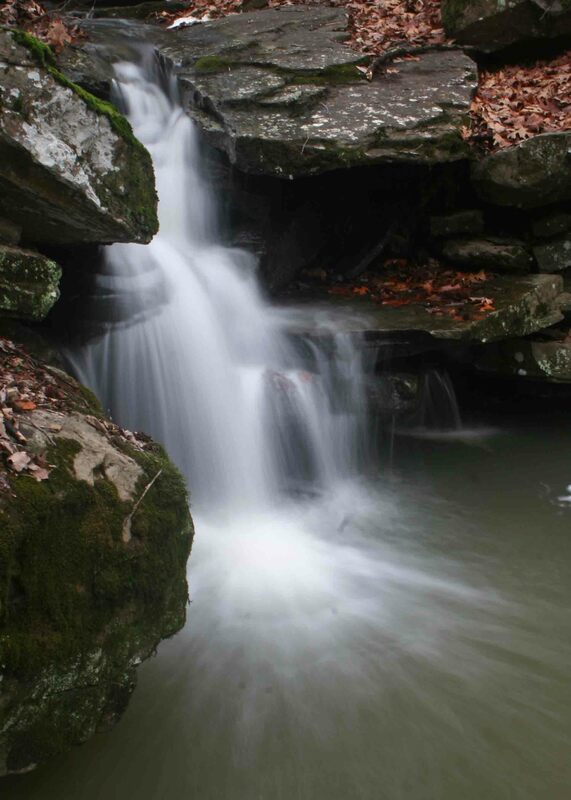 A shorter family-friendly hike is the forty-minute walk to the waterfall and back. 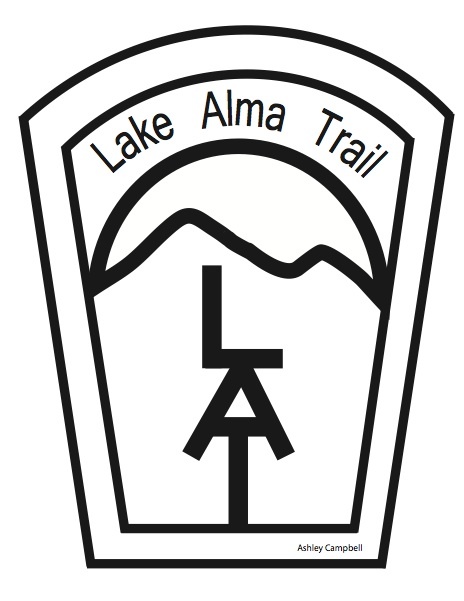 To get more information about Lake Alma Trail and volunteer opportunities, follow updates from the Lake Alma Trail Facebook page. This entry was tagged Lake Alma Trail, nature, nature photography, prescription, renewal, stress reduction, waterfall. Bookmark the permalink. This is so beautifully refreshing, peaceful, robust and energetic at the same time. You took beautiful pics too.